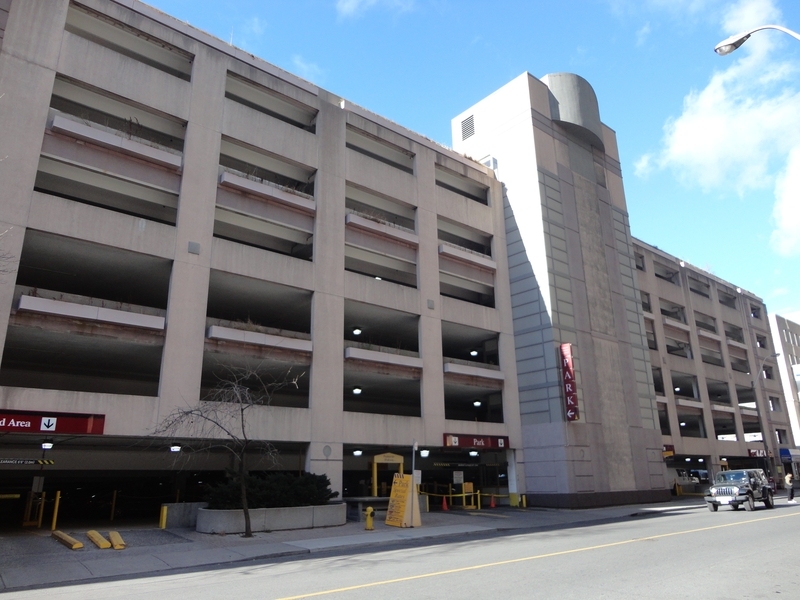 Parking in downtown Toronto is a valuable commodity. 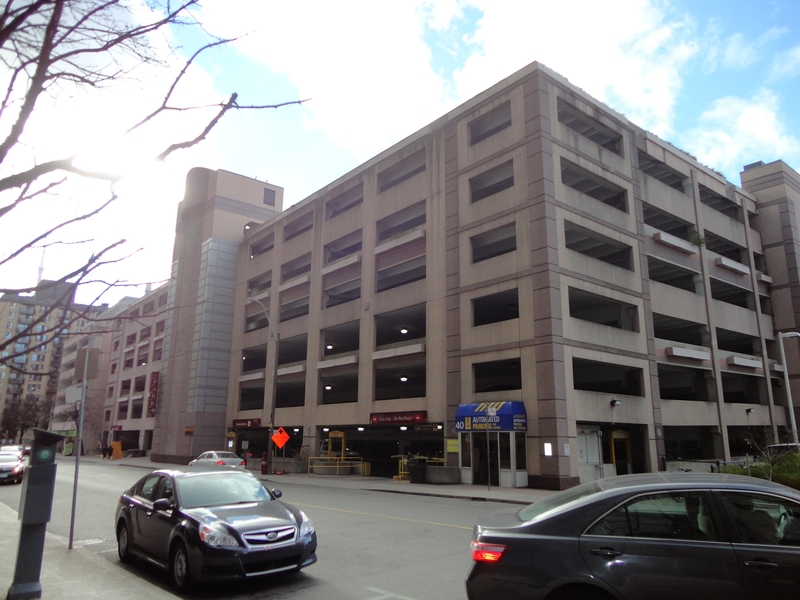 A detailed investigation of the parking garage at 40 Murray St. was undertaken. 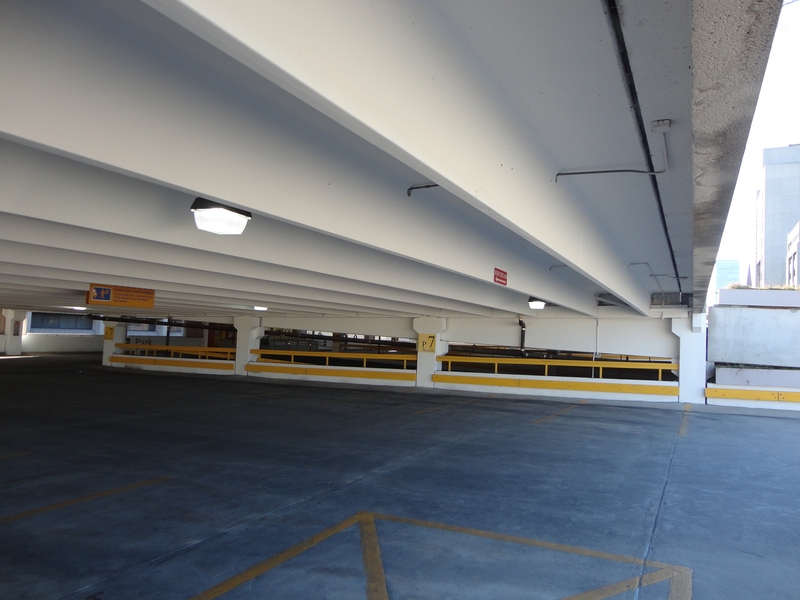 The parking facility is a very large, 8 level concrete structure that provides parking for over 1200 vehicles, 24 hours/day, 7 days/week. 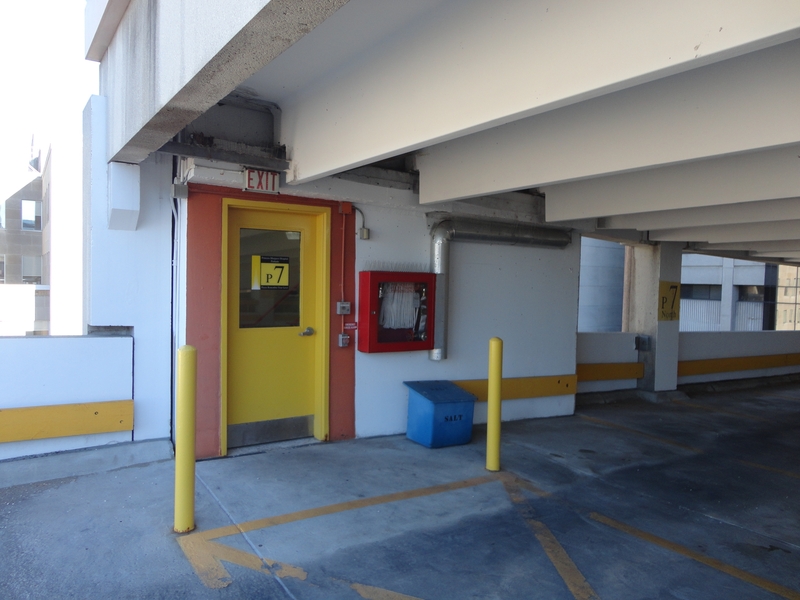 The original portion of the structure, constructed in 1967 is a 5 level garage that utilized post tensioned concrete slabs for the drive lanes / parking areas. 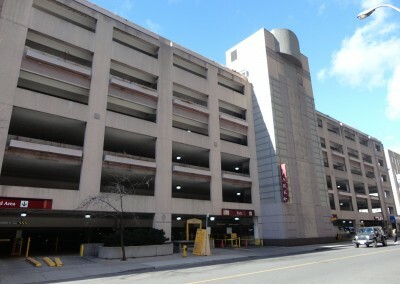 In 1993, three additional precast concrete parking levels were added. 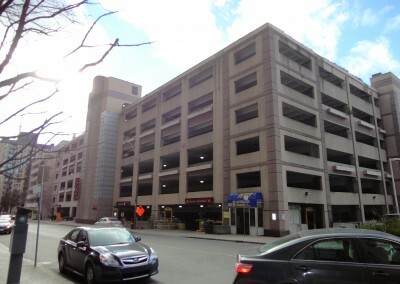 It is heavily used as there are a large number of hospitals and office towers nearby. Over the years, the structure had been well maintained with various repairs. The purpose of the investigation was to carefully document the current condition and identify any repairs required. 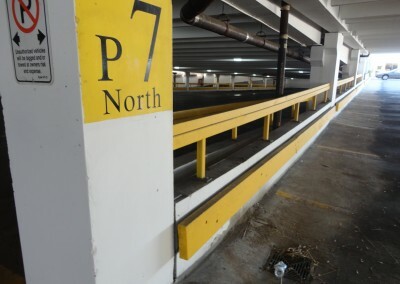 The investigation included a detailed visual review and chain dragging the top side of the entire garage. 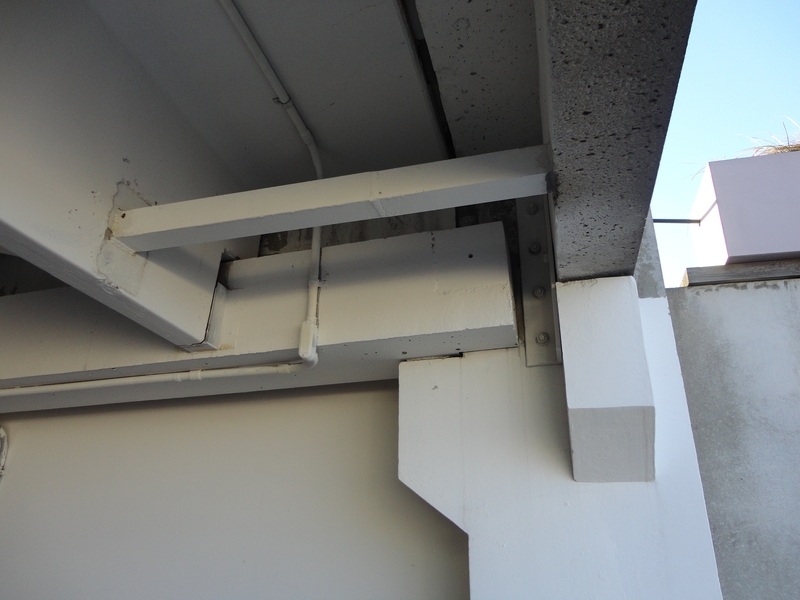 Structural beams and columns were inspected and hammered for any signs of deterioration. 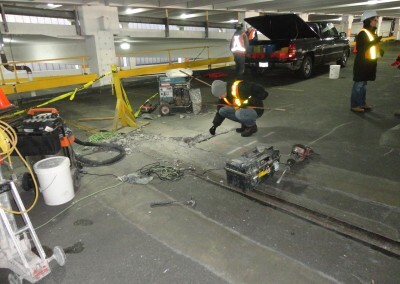 Sections of the concrete were removed at a number of locations to inspect the condition of the connections of the post tensioned tendons in the original part of the building. 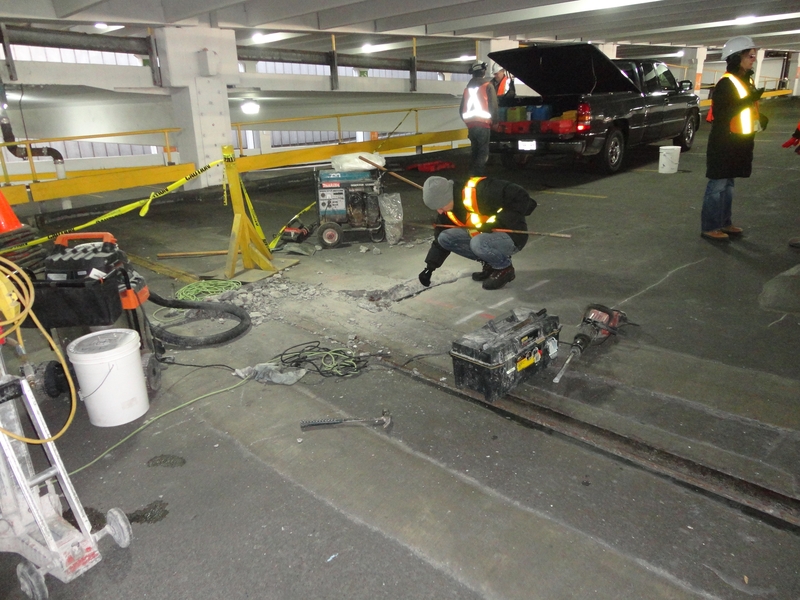 Concrete cylinders were taken to check the concrete strength and conduct chloride ion tests. 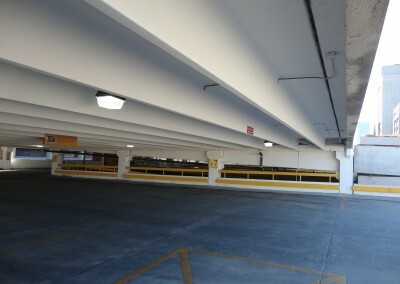 The survey had to be done without any cars in the garage. A carefully coordinated schedule was developed, portions of the garage closed for short periods of time, and the work completed on weekends. The garage also included 5 large stairwells. A visual evaluation of the stairwells was completed as well. Upon completion of the investigation, drawings showing locations of required repairs, repair details, specifications and tender documents were prepared.